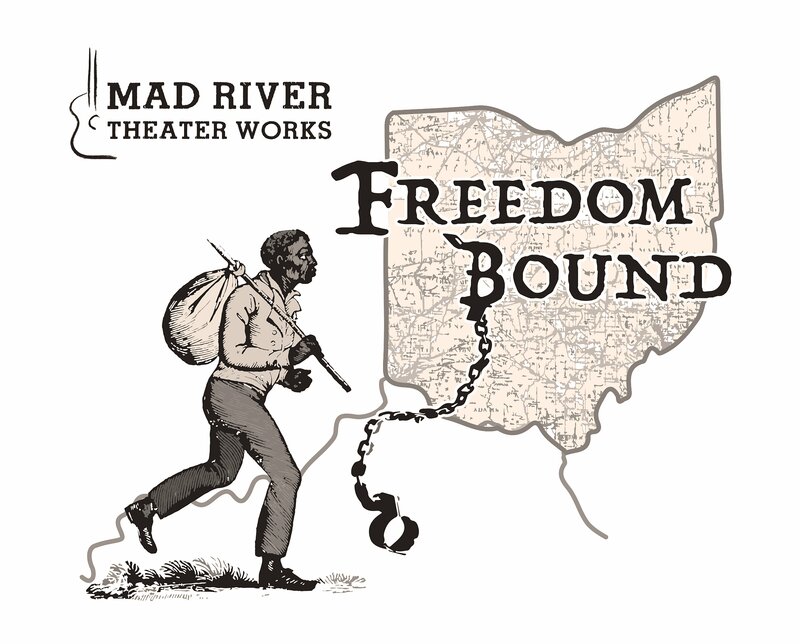 Freedom Bound is an original play with music that tells the tale of the most important incident in the history of the Underground Railroad in Ohio. The show follows the story of Addison White, a slave who escaped from Kentucky and traveled the Railroad north to the small town of Mechanicsburg, OH. There, he was befriended by a farmer named Udney Hyde. He lived in Hyde’s barn, working for his meals by day and learning to read and write with the help of Hyde’s daughter, Amanda, by night. Hyde was a suspected abolitionist, however, and it was not long before Addison was discovered by his former Master. Federal marshals surrounded Hyde’s cabin in the middle of the night. They were prepared to arrest Addison and return him to slavery, but over 100 citizens from Mechanicsburg confronted the marshals and demanded that they set Addison free. Freedom Bound uses drama and music, as well as riddles and rhyme, to create characters that emerge from the past and bring the Underground Railroad to life right before your eyes.